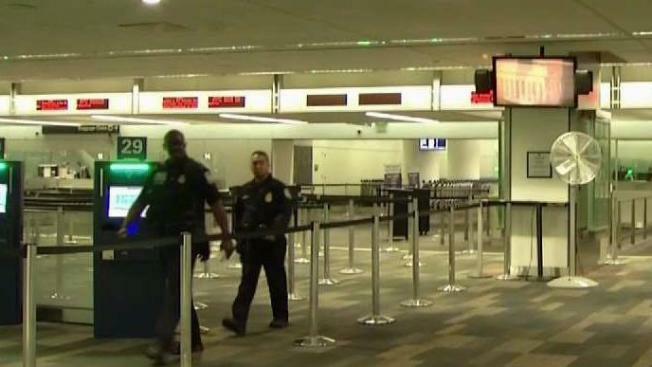 San Francisco International Airport’s U.S. Customs and Border Protection offered a glimpse into their daily operations after a passenger claimed he was tortured by officials in April, something the department denies. Christie Smith reports. San Francisco International Airport’s U.S. Customs and Border Protection offered a glimpse into their daily operations after a passenger claimed he was tortured by officials in April, which the department denied. Director of Field Operations, Brian Humphrey, explained the process for international travelers, refuting claims of a human rights advocate from the Philippines Jerome Aba. "When those accusations include false information involving an individual, we will respond to correct the record," Humphrey said. In April, Aba said he underwent a secondary screening at SFO, an ordeal he said lasted 25 hours, and included him having to strip down in front of a cold fan and being left in a room with a gun and grenade. Humphrey said interview video suggests otherwise: "If we were issued this equipment we would never lock a passenger in a room with a device that could be used to harm our own officers or other passengers in that area." Officials said Aba was deemed inadmissible, denied entry and spent part of his time in a waiting lounge with food, water and blankets. Humphrey added Aba was not even subjected to a pat-down search and returned home. "It's clear they're trying to cover their tracks and we don't believe what they're saying," said Terrence Valen from the National Alliance for Filipino Concerns. He claims he waited for Aba at the airport for hours and described him as "highly credible." "We want to make sure this never happens again and expose if these kinds of things are happening in back rooms," Valen said. He believes the airport’s actions were politically motivated.